I enjoyed rygel jewel it was great to here his side of the first few days of their encounters. It was a great book. Love the two books. 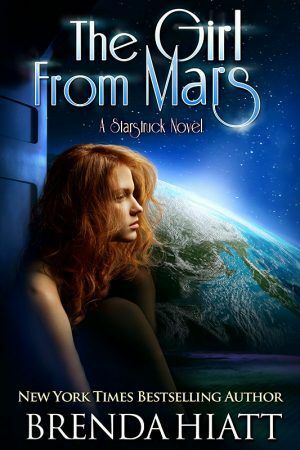 I loved the starstruck series and can hardly wait for the next. When is the next one coming out.Soon i hope. I have truly enjoyed the Starstruck Series! I have become extremely attached to Sean and want him to find his true love! He’s such a likeable character. I also find myself wanting true love for Molly! I think a trip thru the galaxy for Aunt Theresa would be a humbling experience. Maybe just for a short visit? The Starstuck series is amazing. I can not wait for the next book. Will check out your other books till Girl from mars is finished. Love your writing style. Was wallowing in despair/desperation after finishing the outlander series (starved for more) Than I found your starstruck series. Wonderful, an absolute delight. I’m her distant cousin and my aunt Kay said I should read these!! P.S. Hope you have a very Happy Prolific New Year with good health, peace, kindness, blessings and friendships! I just bought all of the Star Struck series today, so I am extremely happy that you are writing another in the series and can’t wait to read it! Right now I am reading one of your Regency books and found that to be also well written. Please keep writing your books, they are truly awesome!!! Will it feature rigel❤️️ n marsha too? Yes, Rigel and M will be in the book, though they won’t be the MAIN characters this time. I’m having fun exploring their world from a different perspective! You are amazing, and this world you have created has had me so submerged that I never like reaching the end. this will be really interesting to see from another viewpoint. I’m so excited. The Sci-fi nature of the series is what grabbed my attention but the romance hasn’t failed to draw me in closer. Thank you.